Keep your money where your heart is. When you support a local business, you’re also supporting your town, city, and neighborhood. We have numerous unique gifts, artwork, repurposed furniture and handmade soaps. Most of the items in the collective can even be custom made. Ask what we can make for you! We love supporting and showcasing our very talented and gifted artisans'. We believe in supporting our local community and artisans'. We have low rate consignment spots available. Click here to find out more information and become one of our featured artist. 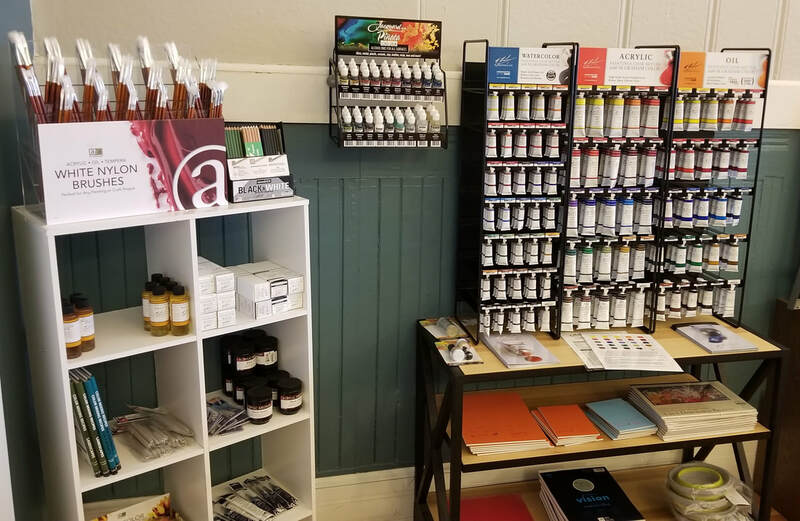 We are excited to offer a variety of fine art supplies. Stop in our store and see our new selection. If you dont see what you need, let us know and we can order it for you!